Psychology major and international student Linn Ljungemo found Castleton to be the perfect reach outside of her comfort zone. 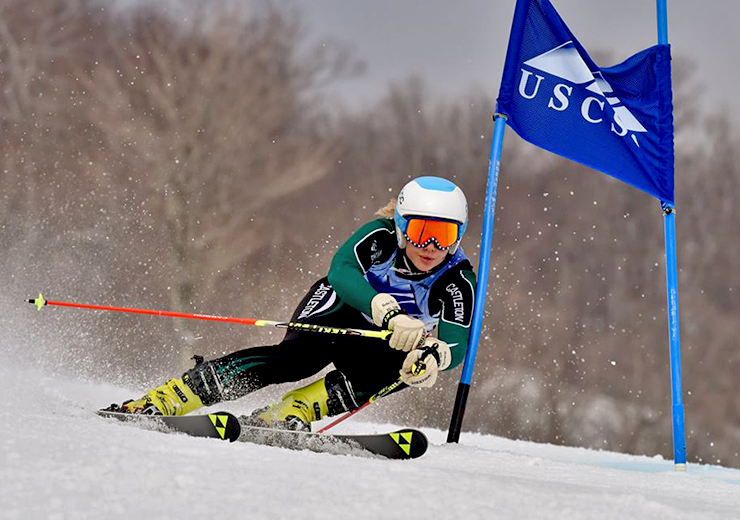 She was put in touch with Head Alpine Ski Coach Chris Eder and arranged a visit to Castleton. After an immediate connection with the team, Ljungemo knew the University would be a perfect fit for her academic and athletic endeavors. “I was thrilled to see that the campus was so close to nature. Being close to nature gives me energy and inspiration, inside, as well as outside, the classroom,” she said. Now a captain of the Women’s Apline Ski Team, Ljungemo is forever grateful for the opportunity to be an active student athlete. That consistent support of her peers, professors and coaches continued over into other parts of her Castleton experience, broadening her perspective of the world and the various paths within her career field. Ljungemo added that she is grateful for the chance to obtain an education while also integrating herself within a new country and culture, knowledge and experiences she feels will carry her through the rest of her life.